In early September, the Gallup Organization found that 60 percent of Americans – a record high — have little or no trust in the mass media’s ability “to report the news fully, accurately and fairly.” The sharpest decline in trust occurred among political independents, the least partisan American voters. Why should this matter for Catholics? Two reasons. First, especially in an election year, we need to bring a healthy dose of skepticism to what we read in The New York Times or Newsweek magazine. We need to do the same in watching CNN, Fox or MSNBC. On disputed moral and social issues, none of these press organizations is, on its own, an adequate source of good information. Each has its biases. And too often those biases include a disdain for Catholic belief. Second, today’s news media are, in a sense, victims of their own urgency; crippled by their appetite for the next breaking story. But we can’t understand the present climate in our country without understanding the past. Politics is important. How we vote in November will help choose the course of our nation, for good or ill. But as Christians, our story began long before this campaign season. It will continue long after. Our task is to reform our own lives even as we witness Jesus Christ to the world — not just by our words, but by our actions. We can’t do that alone, as freelancers. Catholic discipleship is a life in community, the community we know as the Church, guided by her teachings. Over the past few months, two books have left a deep impression on how I see the world we Christians today are called to evangelize. Each illuminates the present through the lens of the past. The first (Bad Religion), by columnist Ross Douthat, traces the course of Christianity in American history especially since World War II. “While the United States remains a deeply religious country,” Douthat writes, real Christian faith has gradually been displaced by forms of spirituality tailored to personal convenience, with devastating results. The second (The Unintended Reformation), by historian Brad Gregory, follows the step-by-step growth of today’s aggressive unbelief and moral confusion from the breakup of Christian unity in the Protestant-Catholic struggles of the early modern era. Neither book is anything like a voter’s guide. Neither is “political” in any practical sense. But for any reader who wants to understand how we got to the conflicted moral landscape of the world we now inhabit, these two extraordinary books are a great place to start. In helping to explain the present, they help us see the kind of Christian charity and witness we need to shape the future. That makes them invaluable. Ross Douthat, “Bad Religion: How We Became a Nation of Heretics,” Free Press, New York, 2012; and Brad S. Gregory, “The Unintended Reformation: How a Religious Revolution Secularized Society,” Harvard University Press, Cambridge, MA, 2012. I come at the issue of new legislation to protect children with some skepticism. As the mother of a handicapped child, I am aware of the risks the disabled face daily, especially those living in state or county run institutions. The abuse rate is shocking. However, I am very cautious of new legislation that may appear to be well intended and reasonable that comes with unintended consequences that will eventually harm all of our religous freedoms and the ability for a faith-based organization to continue to operate. Are there not enough laws on the books to protect people from sexual and physical abuse? The problem is usually not that there are not enough laws, the problem lies in the lack of enforcement of the existing laws. As a Protestant, I believe the Catholic church does have a long way to go in rebuilding trust within its own membership with regard to sexual abuse by a few of its priests. By not acting aggressively in this regard when problems began to surface, the Church created a convenient target for those who would seek to limit all faith-based organizations. The good thing about the Catholic church is that they seem to have a history of failure and reform that corrects its own problems. They need to act aggressively now to correct any abuse occurring within the church and make examples of those who would abuse the safety of innocent children or adults. I believe they can rise to this challenge. In the meantime, Catholics need to be aware that many government officials (especially within the Obama administration) do not hold the same values as Christians on important conception through natural death issues and will use all means available to them (including new legislation) to erode the God-given rights of all Christians to worship openly and freely in America. While the new legislation may be advocated for one purpose (i.e. protecting children) it may come with additional restrictions that Catholics who support the legislation may someday regret. I am for greater enforcement and prosecution of existing laws not the addition of new regulations that will negatively affect all faith-based institutions. How is it that Archbishop Chaput and the bishops of Pennsylvania can oppose PA House Bill 2488 so cavalierly? Do not all of Pennsylvania’s children have a right to the full protection of law? To access Justice? Then why has Archbishop Chaput misrepresented this law and the previously introducted HB 832 & 878 saying that such laws would only apply to the Catholic Church? That was untrue. The same thing was tried in Delaware when opponents, including the Catholic Diocese of Wilmington, claimed that Delaware’s proposed law only applied to accusations of childhood sexual abuse against those representing the Catholic Church. That was never true. After Senate Bill 29 became law in 2007 and included a two year civil window for previously time barred cases of childhood sexual abuse by anyone, the Catholic Diocese of Wilmington twice contested the constitutionality of the new law while the religious community of men, the Oblates of St. Francis de Sales, contested its constitutionality once. They all failed. Likewise the “Soverign Immunity” claim also failed because the law was clear on that as I suspect is the case in PA.
Archbishop Chaput, you misrepresented proposed legislation to better protect all of Colorado’s children and you are now attempting to do the same thing in Pennsylvania. The bishops have a responsibility to support the totality of the Church’s Pro-Life position from cradle to grave and this is not being done when bishops viciously oppose needed legislation to better protect children, hold all who would sexually exploit chidren accountable along with enabling individuals and institutions who are found to have covered up such horrific acts. President Obama is not forcing anyone to have an abortion. He, like all Democrats, think individuals should follow the dictates of their own religions in deciding this important issue; the Democratic Party simply says that no one should be put in jail if they decide to have an abortion. President Bill Clinton would often say that abortion should be legal BUT RARE. … and a healthy dose of skepticism to what a bishop or priest says. The past does indeed help us in understanding our present. Many in the media will skew ideas to support their own agendas. Catholic readers must carefully evaluate what they read before making any major decision shifts. The recent real-estate sale of the city line mansion speaks volumes as to the importance of people over property. 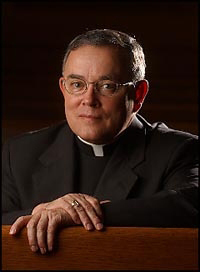 I applaud Archbishop Chaput for his fiscally sound decision and living as Christ would have lived, in our present day. Archbishop, I could not agree more. I recently read both books. They complement each other. A place to start in building a Catholicism with more spiritual depth is The liturgy. We need more reverential liturgy with much less of good ol ‘Father Whatever’ and more of God the Father. Most parish liturgy has a shallowness and banalitay which does not help Catholics survive and grow in this aggressively secular culture. Thanks for your leadership. Another great book that really provides extraordinary insight is, “Render Unto Caesar…” by Charles J Chaput. That is why we need to protect ALL Pennsylvania’s children from the horrors and devastation of sexual abuse and predation. Archbishop, you were in Harrisburg and had the opportunity to bear witness to Jesus Christ by urging our legislators to pass the important proposals to protect our children. The recommendations and legislation, its protections and penalties apply to all children in the Commonwealth, to all institutions, public and private. Catholic institutions and organizations are NOT being singled out as a target in these important legislative measures and all Pennsylvanians need to know this fact. “Windows” legislation is vital so as to be able to identify those alleged perpetrators who heretofore have remained hidden and protected from scrutiny in order to better protect our children from future abuse and assault. Thank-you Archbishop Chaput. Individualism is certainly devastating to the human soul. It will take a supreme act of God, to bring us back ot our sences.